Well, send the S300 back to California, the supplier tested it and it passed all tests. Not sure who's lying now..
Dude, what the heck??? That is so frustrating! Tell Hondata everything that transpired regarding this problem and see what they have to say. The tuner I deal with is a hondata dealer. And so is the place I ordered the S300. So one of them are lying. My tuner tried several other S300's and had no issues. So I'm leaning towards HAMotorsports knowing the ECU was bad but not admitting it. But I don't think that either because they are giving me a whole new ECU, no charge, even though mine was out of warranty and the tuner opened it up. I hope everything works out man. I'm currently about to tune my car soon with the S300 V2 in a P28 installed by swapshopracing, but my AC won't turn on with the Hondata ECU however for my chipped P28 it works perfectly fine. Fingers crossed it's not the ECU because I purchased it like 2-3 years ago or else I'll be in the same boat as you. Last edited by Restless; 08-04-2014 at 07:25 PM. Man. That is really a bummer. When I purchased my s300 I sent my chipped p06 to pherable and they installed it. Knock on wood I've had no problems. Have you actually looked at the ECU or are you not bothering and letting them handle it. I would think that anybody that sells ecu's would surely know how to solder. Maybe you just have a bad cap. That should be a fairly easy fix. I just picked up 2 more backup ecu's over the weekend. Another p06 I plan to chip and a p28. I have been looking for a p72 but have given up. Restless there is a setting in the s300 software to disable the ac at a certain rpm. I'm sure you check but if not you might want to . Appreciate the advice Stoner51 , but yeah I've tried that already when I uploaded my basemap from phearable. One day it will be fixed lol. Looks pretty damn clean for a Canadian CB. Keep up the good work, looks like you take good care of her. Yes! It is happening! Can you post up a video of the pulls? You got your ECU back with new internals, right? Video doesn't do this justice. The car sounds amazing! 3" exhaust all the way back with a magnaflow muffler. I'll try to get more videos tomorrow! This thing sounds nuts. Glad to see it finally running. Glad to see your car on the dyno. By the way the your engine bay is looking clean . Location: On a horse with no name. And still some summer to enjoy it! Be unique, like every other person. Procrastination is a THIEF of time!! Last edited by dahubby; 08-20-2014 at 08:20 AM. So I took the car for a drive today for the first time today. We are half way through the tune and these are the results at 9psi at 7500rpm. We still have to tune up to 17psi which will should be around 400hp. Words cannot explain the high. 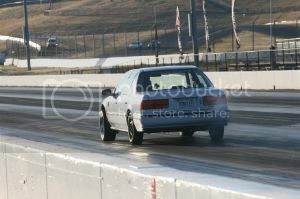 The happiness this brings to one I have never been able to spin the tires in 3rd and 4th gear before. It's........ amazing! The car has so much power it is scary, but a good scary. Still trying to get some videos though. I'm so excited for you man! It's great to see that it's all coming together for you. when all the cali cb's get forced off the road send em back too Ohio, we will still run them cats or not. By far, this is Canada's craziest CB! It would be epic, ABSOLUTELY EPIC, to see 2point6, you, NWAccord, and BoostLee take a pass together down the Zmax Drag Way after you get tuned to the full 17 psi.